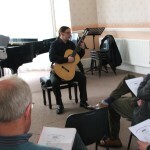 Dublin guitarist Philip Lawson entertained CGSNI members following their AGM at the Ulster College of Music on Sunday 12th May. 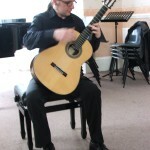 His recital began with Dowland – the Frog Galliard and Fantasia – followed by En Los Trigales by Rodrigo. 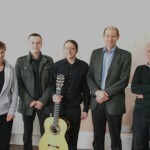 He went on the explain and perform two minimalist pieces by Irish Composer Dave Flynn. The main work was the substantial Sonata in Dmin No 34 by Weiss. To relax after the Weiss we heard the Japanese influenced Three Interludes by Garrett Sholdice played with great tenderness and an excellent contrast to the Weiss. The sun then came out to illustrate Alma Apaixonada and Se ela Perguntar by Reis. 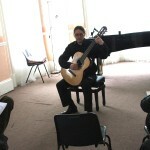 The perfomance was rounded off by Etude No 1 Relentless by another Irish Guitarist-Composer Benjamin Dwyer. 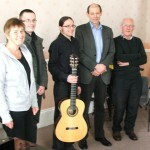 This piece was played with tremendous passion and authority. 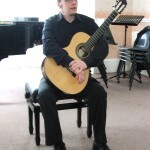 The recital was received with enthusiastic acclaim and CGSNI are grateful to Philip for coming to Belfast and giving this excellent performance. We wish him the best of luck in his future career.